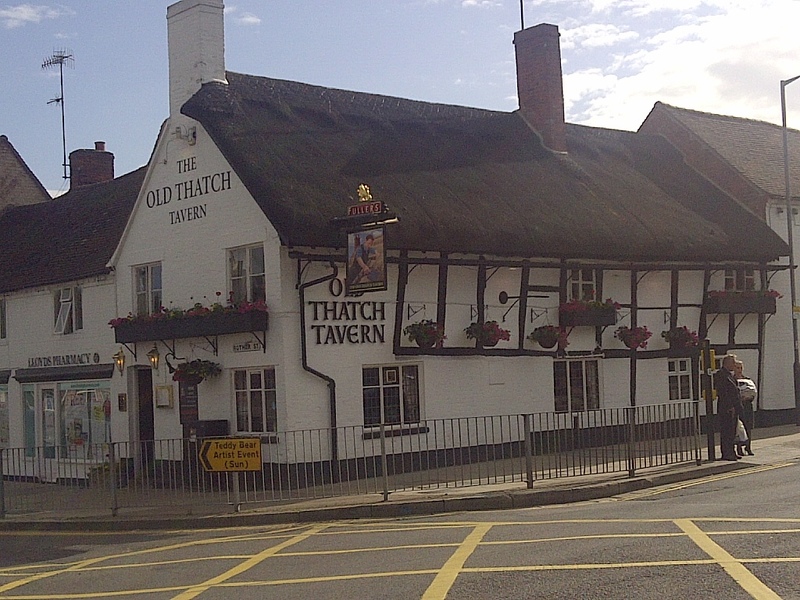 The wonderful 600 year old Olde Thatched Tavern. Not very straight but after 600 years it is understandable. Stratford upon Avon, England. June 15, 2013. On the ENGLAND, SCOTLAND & WALES tour.